Registering an account is not compulsory, however it can speed up the checkout process, enable you to keep a record of your order history and save your wish list. Setting up an account with us is quick and simple, all you have to do is fill out your profile with the relevant shipping and billing information. You’ll soon be on your way to a quick and hassle free checkout process with a few clicks of a button. 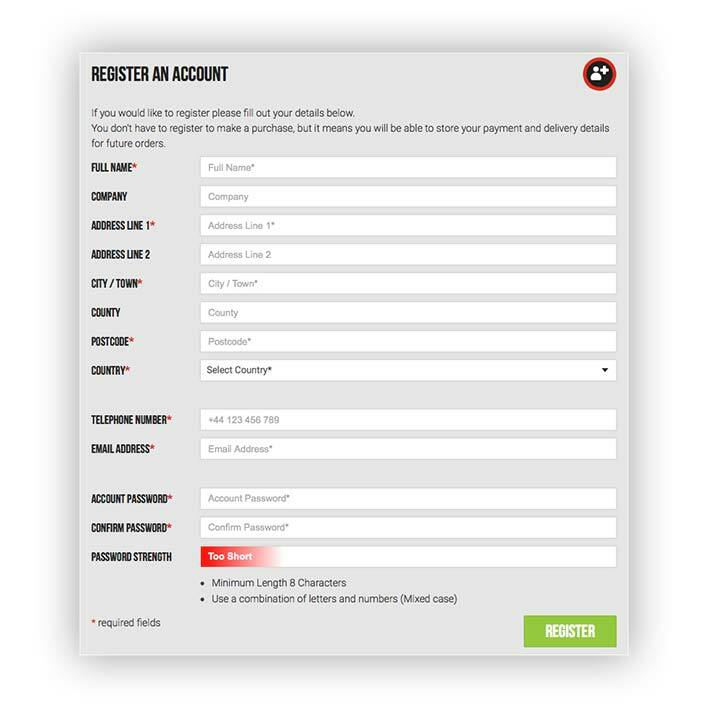 To create an account, simply click here to get to our Registration page. You will then need to fill out the online form as pictured below! Once you have created an account, you will be able see your most recent order or any items you currently have in your basket. You can view your account and billing details, see all the items you have added into your wishlist, and all your orders that you have made from us with all their status's! View your current basket to see a list of the items you have added, with the total value including the shipping costs. Quick and simple process, allowing you to double check that you have all the relevant items you require for your next ride! Once you click through to the checkout section you can then add any discount code that you may have. Any email or password changes can be updated in the account settings tab once verified. 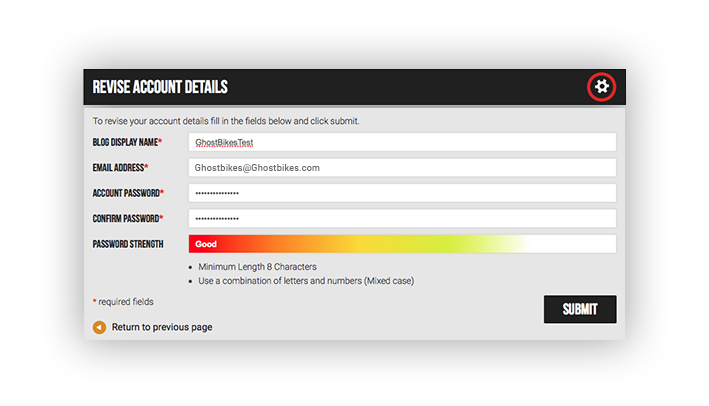 Once you have clicked change credentials, you may then change your name and password. 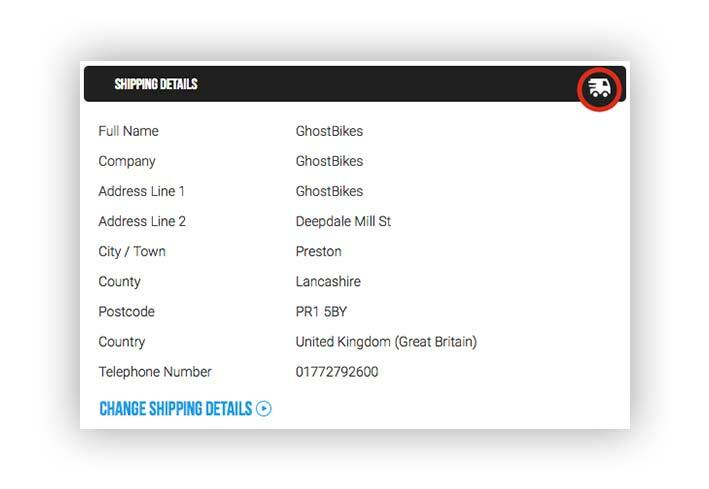 In this section you can update your shipping details. On the first screen that will appear you will get an overview of what current details are filled out. 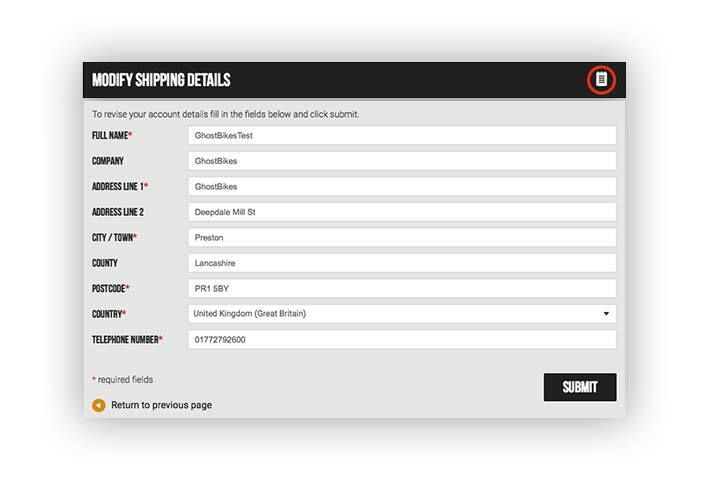 To change these simply click on the change shipping details button at the bottom. Once you have clicked on change shipping details you may change the relevant information. All the stared fields have to be filled in for the address to be valid. In this section you can change you billing details. On this page you will be given a current overview of what details have already been filled out. To change these simply click on the change billing details button at the bottom. 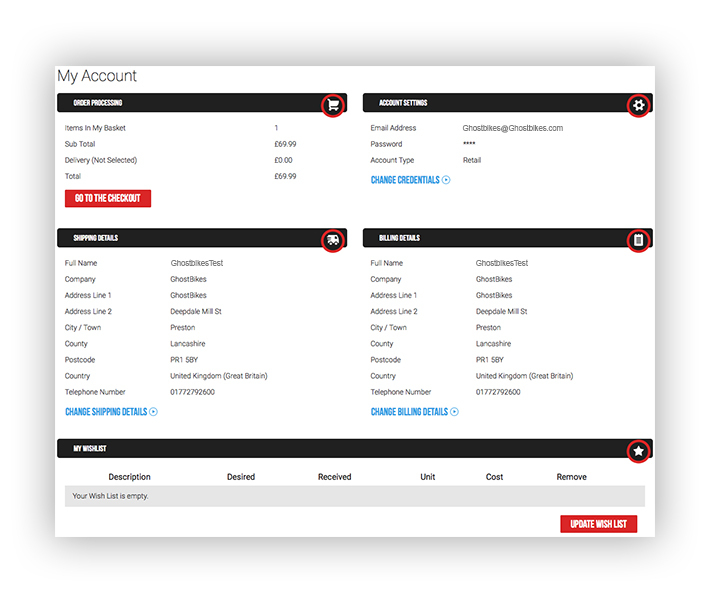 Once you have clicked on change billing details you may change the relevant information. All the stared fields have to be filled in for the billing address to be valid. 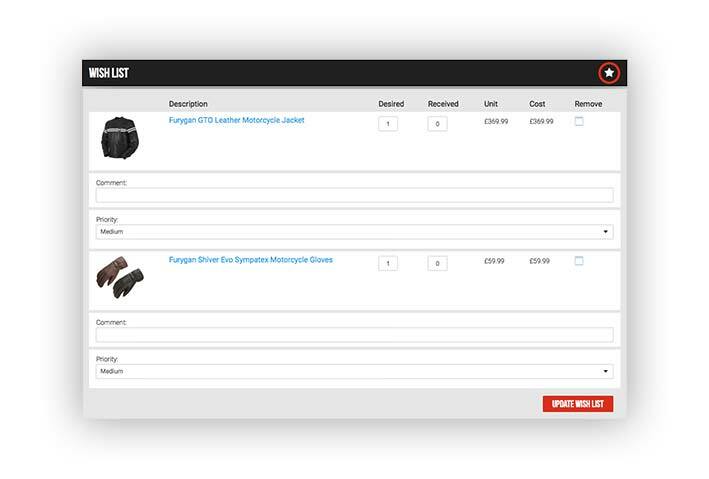 The wishlist section allows to put a collection of items together that you may wish to purchase in the future. Set yourself a target to save up for those most desired pieces of clothing, helmets or accessories. You can edit your wishlist at any time, add or remove items for your own reference. Any previous orders you have made will appear in your order history. Your order history will include all of your previous orders with order numbers, shipping status's and dates. If you have any queries regarding any previous orders then this is a quick and simple way to check dates and reference numbers making it quicker for us to answer any questions that you may have.